Last major update issued on July 5, 2004 at 04:20 UTC. The geomagnetic field was quiet on July 43. 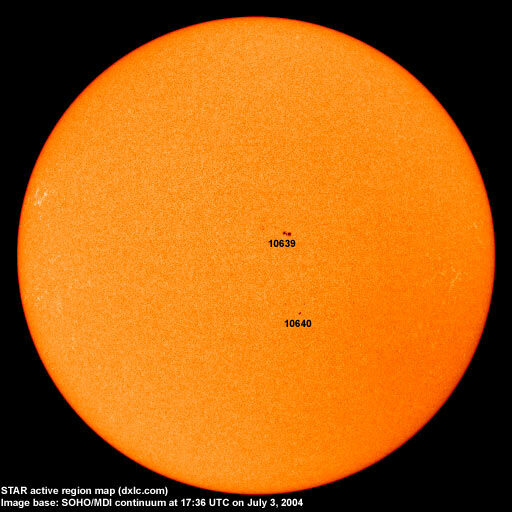 Solar wind speed ranged between 406 and 468 km/sec. Solar flux measured at 20h UTC on 2.8 GHz was 79.4 (the lowest solar flux since the end of the last solar minimum). The planetary A index was 6 (STAR Ap - based on the mean of three hour interval ap indices: 6.9). Three hour interval K indices: 22222222 (planetary), 21221212 (Boulder). 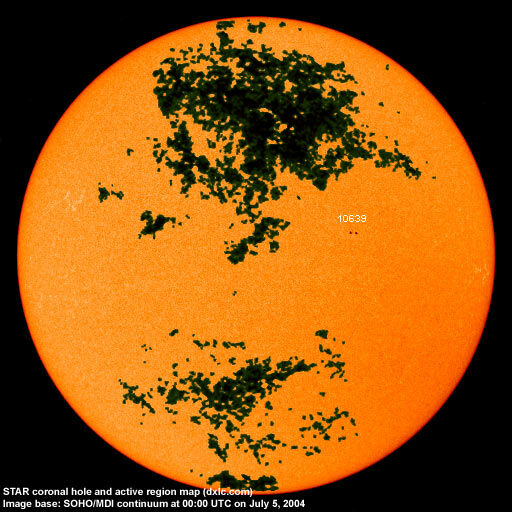 July 2-4: No obviously earth directed CMEs were detected. 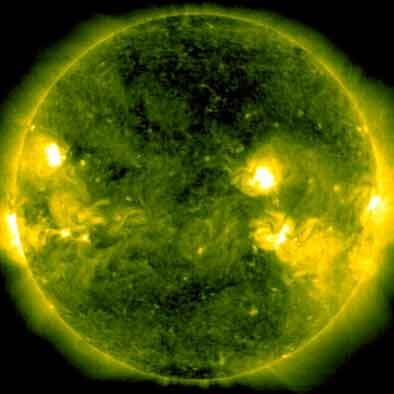 The geomagnetic field is expected to be quiet to unsettled on July 5-9. Long distance low and medium frequency (below 2 MHz) propagation along east-west paths over high and upper middle latitudes is poor. Propagation along long distance north-south paths is good. Trans Atlantic propagation conditions are monitored every night on 1470 kHz. Dominant station tonight: Radio Cristal del Uruguay and an unidentified station from the Buenos Aires area. Post sunrise propagation was particularly good towards Argentina, but with some stations from Uruguay as well. Argentina was noted with fair to good signals on a number of frequencies including 710, 790, 870, 950, 1190, 1420 and 1430 kHz. Uruguay was on 930, 970 and 1130 kHz. Again a second Brazilian was observed on 740 kHz together with the dominant Rádio Sociedade, this must have been a station from the southernmost parts of Brazil.